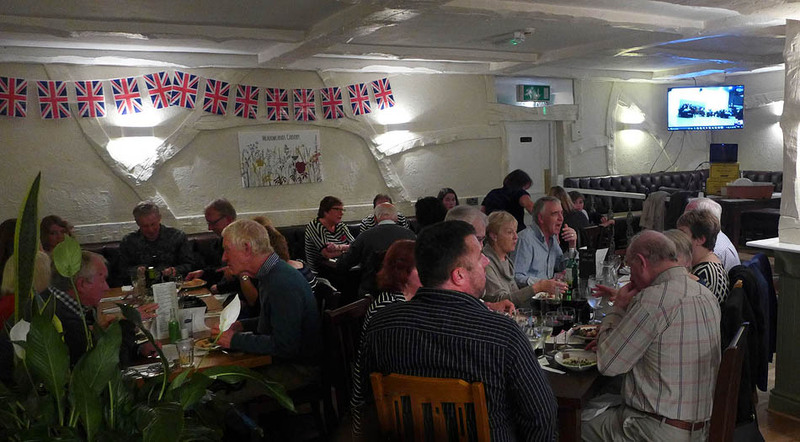 A Full House for Twinning Dinner! 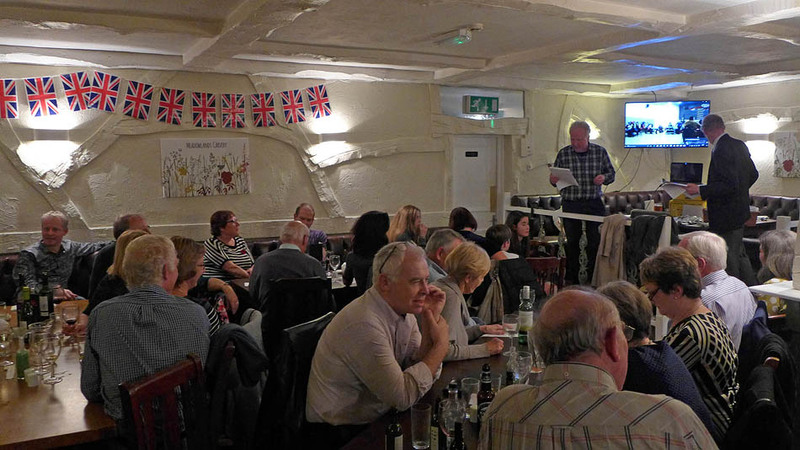 On Saturday 12th November we held our first annual dinner. 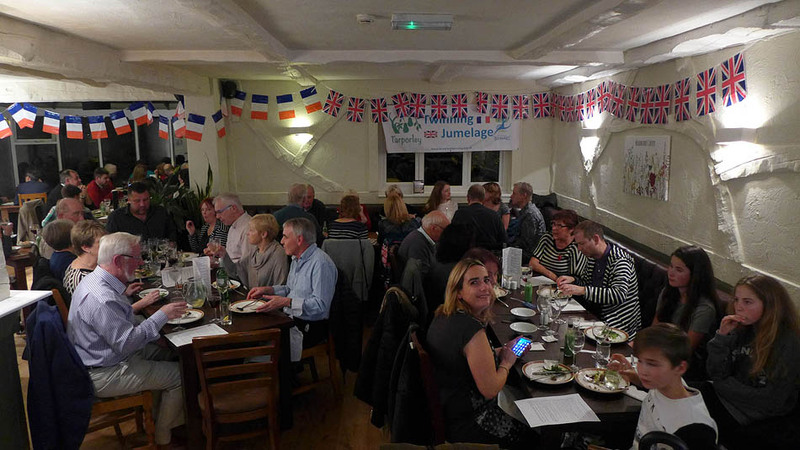 We had a great evening at The Crown in Tarporley with a full house of 65 attending; many were longstanding twinners and we also welcomed some new faces to our French-themed meal. At the same time in Bohars our friends were dining on fish and chips. 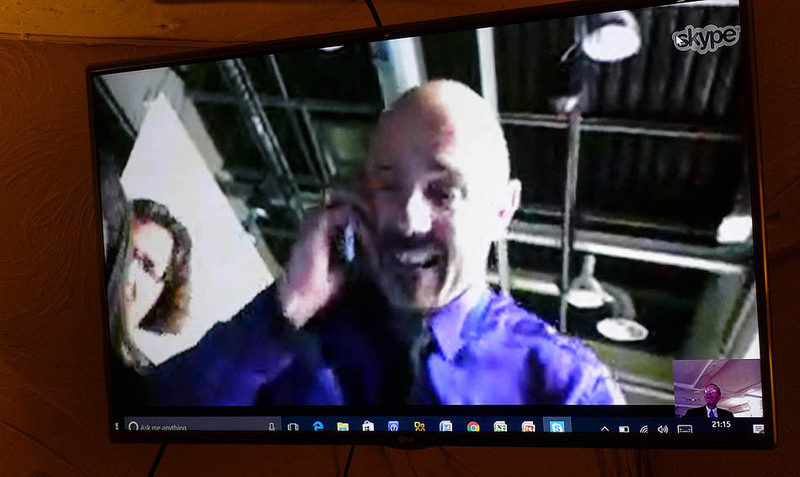 There was a Skype video link between the two dinners throughout the events, although the technology didn’t always work quite as well as we’d hoped. Sometimes we could see them or hear them, sometimes not. 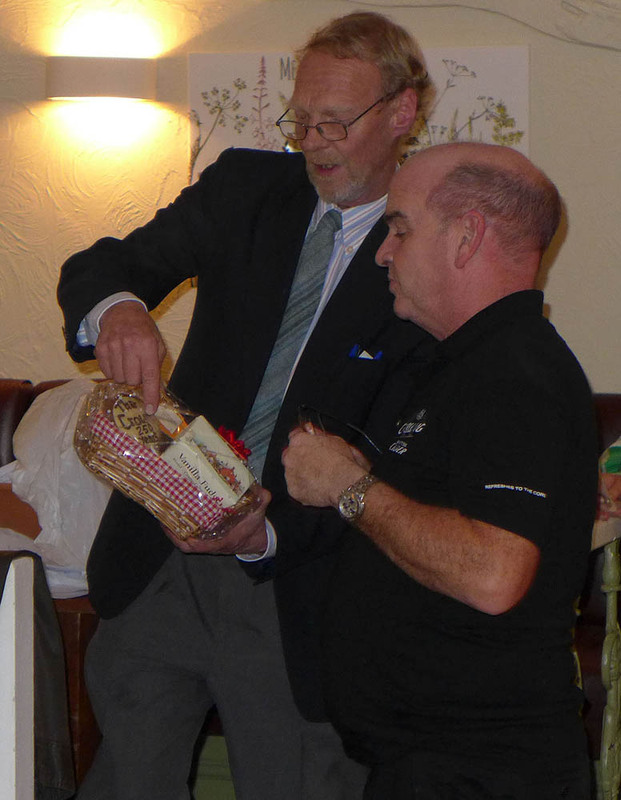 After the dinner we were entertained by an auction of unusual lots, including numerous specially-made chocolate hedgehogs. 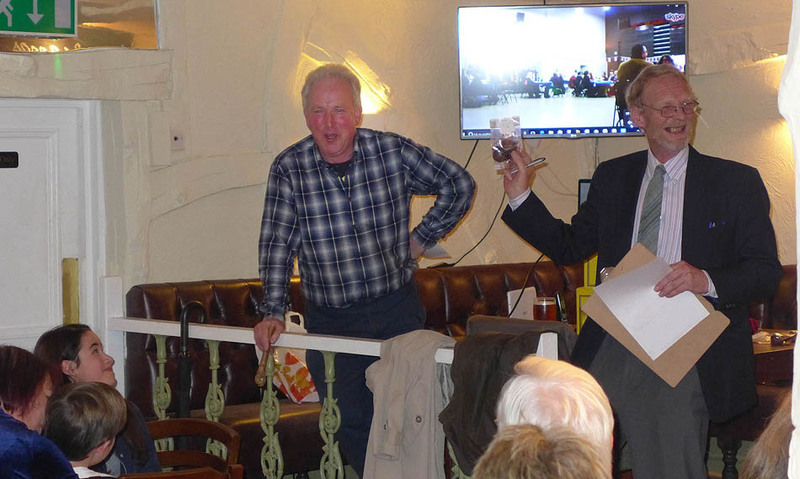 Auctioneer Andrew Wallace managed to keep track of bids in both English and French! David Dunning accepted some mysterious bids over the phone. Many thanks to all the people who played a part in making Saturday a success!